Munich was the site of the infamous ‘Beer Hall Putsch’ in 1923 when Hitler tried, and failed, to incite a national revolution. 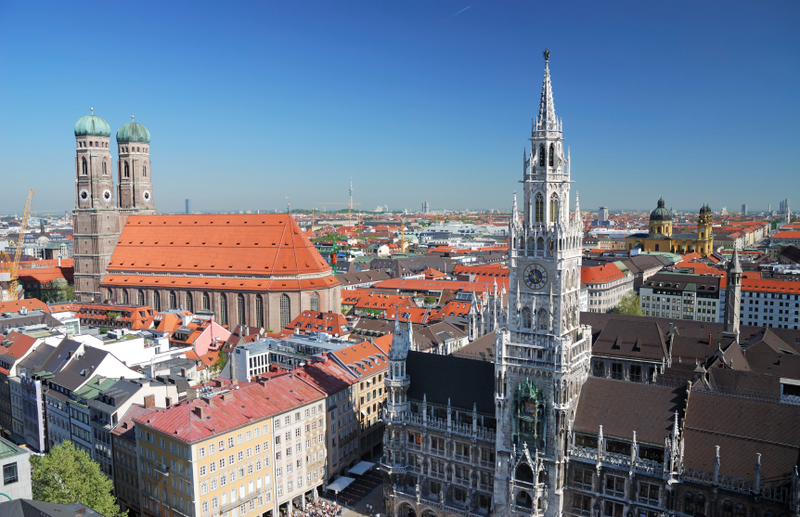 And Munich was the place where the greatest ‘shrines’ to Nazism were established – the ‘Honour Temples’ where the Nazis who had been killed in the Beer Hall Putsch were buried. Hitler had his own private flat in Munich (where Geli Raubal – his niece – killed herself in 1932) and this was the city he always called ‘home’. It was also no accident that it was to Munich that Neville Chamberlain traveled in September 1939 to conclude the deal that gave Hitler the Sudetenland. Munich is thus by far the most important single city in the history of Nazism. Yet – and this is the point I want to make – you would be hard pressed to recognize this today. Yes, there are a few plaques in the ‘Nazi quarter’ of Munich, but there is nothing to let people know where and how the Beer Hall Putsch took place and – crucially – there is no museum of Modern History in Munich where people can go and learn the vital connection between Hitler, the Nazis and Munich. Why is it, for example, that the first major exhibition about Adolf Hitler recently opened in Berlin, and not in Munich? I’ve always thought that Munich is the city that wants to forget its Nazi past. But it shouldn’t be allowed to. I suppose you are right. But rather than forgetting isn’t it just paranoiac that it will be turned into a shrine to Naziism . Better to have nothing than a hook which can be perverted into a neo Nazi monument to hitler!